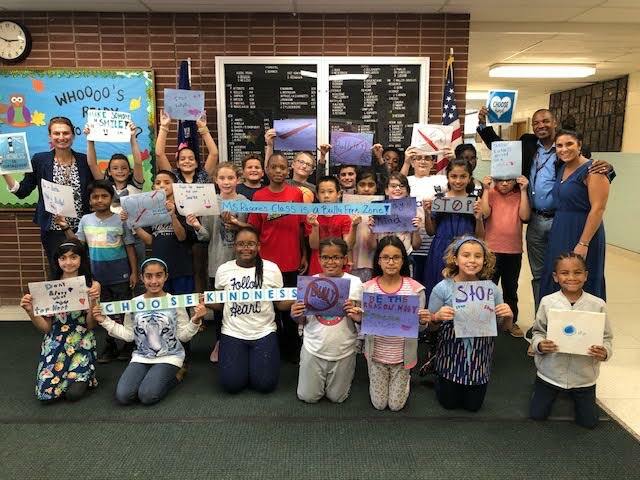 Staff and students at Deer Park’s John F. Kennedy Intermediate School kicked off Bullying Prevention Month in October by wearing blue, standing strong to eradicate bullying. Fifth-graders made signs to remind themselves and others that their class and the school are bully-free zones. Each week during the month, students will be presented with a challenge of showing kindness to a friend, a family member or even someone that they do not know.